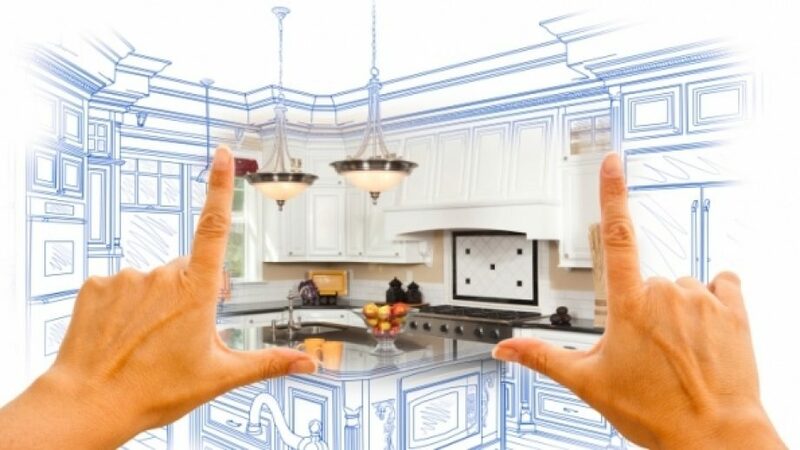 So you’ve decided to remodel your home! And you’re determined to be smart about it. You’ve heard the horror stories about contractors running off with five-figure sums and new kitchens being ripped out because they didn’t pass inspection. None of that will happen to you! You’ll take precautions! Or so you think. Sometimes the things we do to avoid a certain outcome simply make that outcome more likely. Here are 11 things you may be doing to avoid a renovation nightmare — that may well lead you straight into one. 1. Withholding funds. It seems like a sound plan at first — you don’t have a guarantee that your contractor will finish the job once you’ve paid the balance, so you’ll hold onto that last 5 percent as a guarantee. Wrong. If you say, “I’ll withhold 5 percent until I’m satisfied with the work,” the contractor just prices everything with a 5 percent increase, so if they don’t complete the project, they’ve still made their money. If a contractor needs to fix something at the end, he’ll do it on reputation. Plus if you retain more than 5 percent, the contractor will struggle to finish your project, because he can’t pay his overhead. 2. Buying the materials yourself. “But I can shop around and make sure I get the best price!” you may be saying. Not so. Your contractor can get trade discounts and share them with you. Some will even accompany you to the store. Trying to shop yourself is just asking for a higher price quote — plus when items don’t arrive, or arrive and they’re wrong, the contractor loses coordination of the project, meaning pushed back schedules, late completions, and loads of mess. 3. Not planning out the entire project from the beginning. You may say, “I don’t need to make my mind up about the kitchen tiles right now, I want freedom to choose later on!” Unfortunately, you’re setting yourself up for serious hassle when you and your contractor get fuzzy on what was agreed upon two months later. Plus it means you’ll be making decisions under stress in the middle of a renovation. It’s much easier to delay the start of a project, so you can take your time making all the decisions in advance — otherwise, you’ll regret it. 4. Not specifying the details early on. Often, there’s a rush to get going with a project, and it may seem unnecessary to spend time picking countertops and light fixtures. But again, the more you communicate and specify precisely what the project will be from the get-go, the less you have to deal with ambiguity and confusion down the line. 5. Focusing on nailing down the contractor, not the project. At the beginning, everyone focuses on the bid. Which contractor will give me the best deal? Which one comes with the best reputation? Which one specializes in kitchens, since I want a new one but I’m not sure what kind? Mistake alert! Rather, you should be focusing all your attention on precisely what your project is, from start to finish, down to the last detail (see above). From there, look for the contractor who best understands your project, and only entertain bids based on what that full project is, so you have all the information you need to make an informed choice. 6. Trusting a website to choose a contractor. The Web can be a valuable resource (as you well know — you’re reading this after all!). But the sheer number of things that can go wrong on a remodeling project are huge, and many have nothing to do with the contractor or his past performance. As such, a good or bad review on the web really has nothing to do with whether a contractor will be right for your project. Also, do you really think Joe386 knows whether his remodel was quality work? Do you trust him to tell you whether yours will be? 7. Not having a pre-defined arbitration agreement. The absence of one means you’ll definitely wind up in court if there’s a dispute. Meaning loads more time, money, and hassle. 8. Thinking you know more than your contractor. You may think you know more than your contractor about your own home. After all, it’s your home! Best to let this idea go entirely. Like any skill, construction expertise is acquired over time, with many contractors spending years in onsite training. Some are former architects, construction managers, and carpenters with decades of experience on big projects. These people know about your home. More than you do. Sometimes, much more. 9. 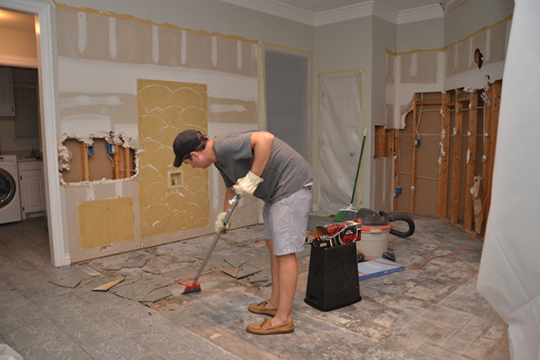 Staying in your home during the remodel (if it’s a large project). On the surface, you’re saving money — after all, you don’t have to pay for a temporary place to live. But here’s the kicker: your contractor is charging you more if you’re staying in your home. Why? Because every evening, once his team gets finished working, they have to put the place back together into a livable home. 10. Thinking your renovation is just like your neighbor’s renovation. Every home starts out differently — every home. As such, every remodeling project is unique, and so every contractor’s project is unique. So it’s a waste of your time to tell your contractor, “I want the exact same project as the guy across the street.” It won’t happen that way. 11. Not acquiring the necessary permits. Yes, permits are a royal pain, and can be costly and slow a project way down. But not having them could mean disaster down the line. If your plumbing doesn’t meet code, the city or county housing department can tell you to rip out the work, with no compensation to you. So deal with the hassle, even though it may seem easier to skirt around it. And of course, be sure to close any open permits with the proper inspections. Otherwise you’ll get a nasty surprise when you put your house on the market… and discover that you’re unable to sell.